Downloadable Leaflet PDF. Click image to enlarge. 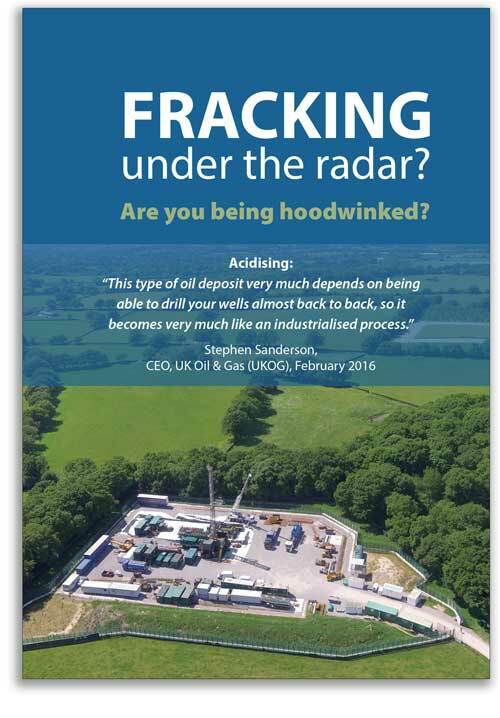 Acidising brings similar risks to fracking – risks to our health and environment, wildlife and farm animals, the clean country air we breathe, potentially the water we all drink. Drilling and acidising involve noise, flares, heavy traffic on our country roads, and transporting and injecting acids plus a range of chemicals whose toxicity in some cases is unknown. Communities across the South East will be guinea pigs in this industrial experiment.